I have a deep deep love of beans… any kind in any sort of dish. 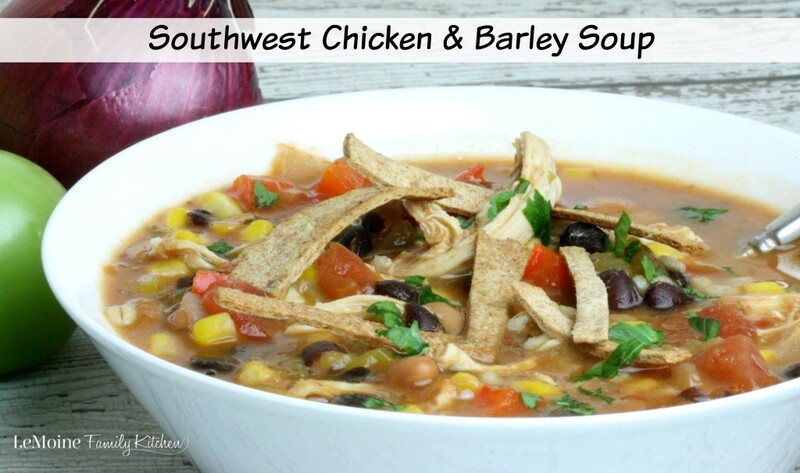 Weather its a bean packed chili, healthy Black Bean Soup or a side dish I am all over that! 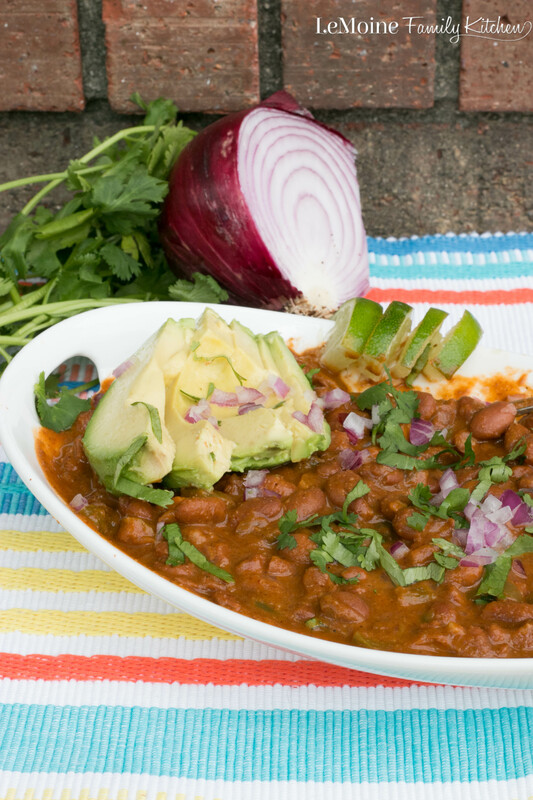 These Spicy Pinto Beans are going to be a new frequent flyer in my house for sure; they are so easy and so tasty! I could easily eat this whole bowl, they are that good! A great kick from a jalapeño and chili powder. These have a Mexican flare to them for sure and great served as a side with sliced avocado, diced red onion and cilantro. 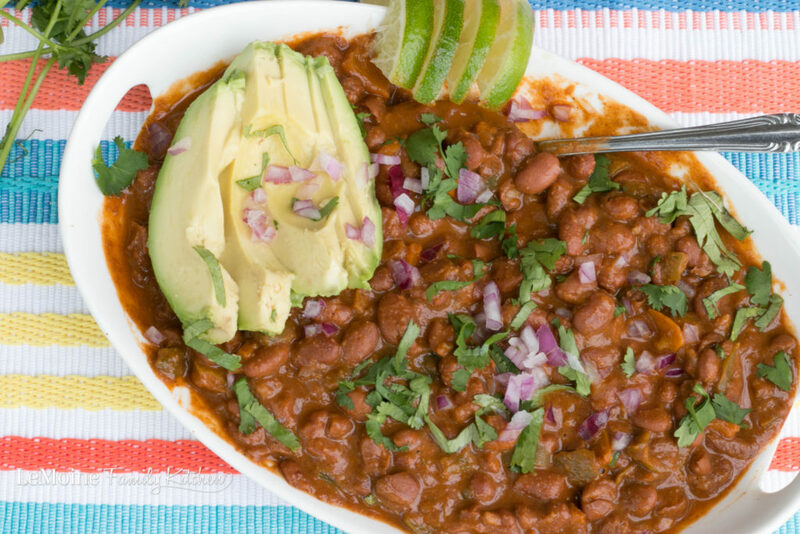 These Spicy Pinto Beans really couldn’t be easier to make. They are simmered in a large sauté pan with red onion, garlic, chili powder, cumin, bell pepper, jalapeño and vegetable broth.I really love a recipe that is hearty, flavorful and as healthy as this dish is. A great side with a fun taco night or along with grilled chicken and shrimp. I think you all are going to love this one! Oh and no worries… if you want to cut back on the heat you can top with sour cream and dial back on the jalapeño. Either way, these will be thoroughly enjoyed! In a large skillet or saute pan, over medium heat, add in the olive oil, diced red onion, bell pepper, jalapeño and garlic cloves. Cook until softened. Stir in the salt, cumin, chili powder and garlic powder. Cook for a minute to wake up the spices. Stir in the beans and broth. Simmer on low for about 45 minutes until creamy and tender. Top with sliced avocado, cilantro and diced red onion. Normally I’m all about making things from scratch, but I must admit I love popping open a can of beans and just dressing it up a bit for whatever dish we’re having. Love the flavors you used! Oh I hear ya! Beans are one of those things I do use canned much more frequently then dried because they are so so convenient. These beans have such great flavor. Perfect side dish for a Mexican meal. Would go well with burgers too. Your spices and the jalapenos are perfect. Yum, these spicy pinto beans have my mouth watering this afternoon, wish I was having these for dinner! 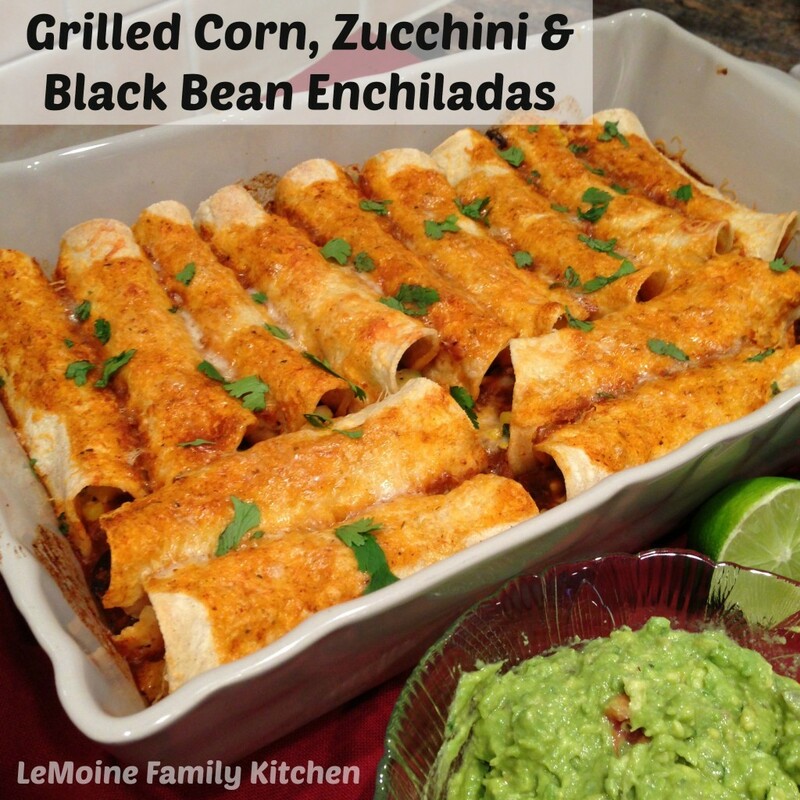 What a great Mexican inspired side dish and it’s so easy to make! Love, love. Anything spicy has my attention 🙂 These beans sound really yummy! I have never made my own pinto beans and yours look fantastic! Oh the yummy possibilities!